Exclusive to us - Joanna Hope. 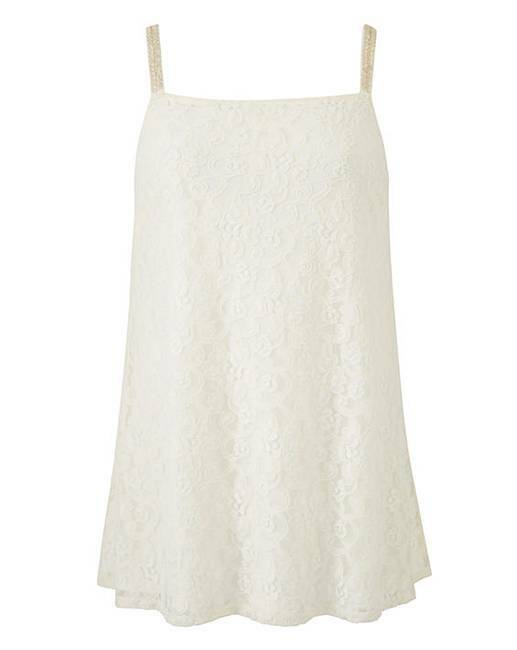 This square-neckline lace swing cami is a fantastic luxury basic for your wardrobe. The lace and lining are stretch to give a great fit. The straps are embellished with pewter coloured bugle beads to give it that special look. Available in 2 great colours. 46% Polyamide, 46% Polyester, 8% Elastane.